This is exciting stuff, I’ve never had a brand new bike before and if I’m honest I don’t know where to start. The MT-09 is proving such a sales success on the showroom floors that I had trouble getting my sticky mitts on one to begin with. The 847cc triple was high on my list to use a longtermer this year for quite a few reasons, primarily that it’s a blank canvas that I can make plenty of changes and tweaks to throughout the year. Because Yamaha have been selling MT’s as fast as the factory can build them my colour choices were limited. The silver/grey scheme isn’t really my cup of tea so I’ll be looking to get it vinyl wrapped in a more fetching hue at some point in the near future. An aftermarket exhaust is also high on the list of changes that new owners want to make first and there are already a few choices available from Akrapovic, Arrow and TwoBrothers to name a few. 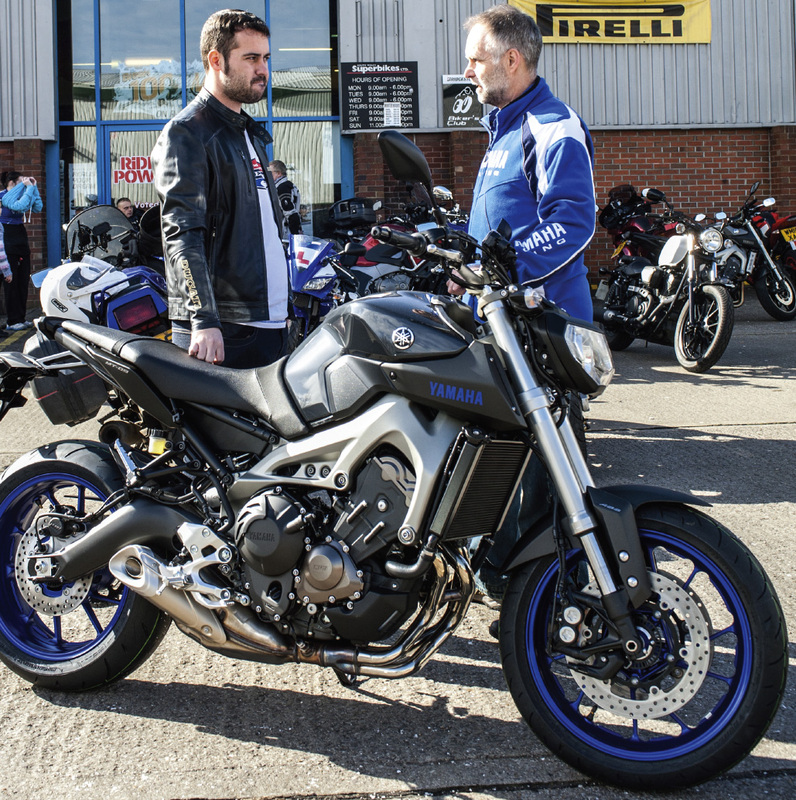 Powerbronze have also been busy creating a range of accessories for the MT-09 including crash protection, huggers and a screen which will be an essential addition for all of the motorway miles that I cover. It goes without saying the standard number plate hanger will need ditching pronto as it’s a proper eyesore, nothing R&G can’t fix. I’ve no doubt the MT will get some Probolt attention bestowed upon it as well. Some of the motorcycle press have mentioned less than ideal fuelling on the MT-09 but I’ll have to ride it for a while before deciding if it really needs a Power Commander or whether a more deft throttle hand is all that’s required. Others have also pointed out the suspension is quite soft as standard so I’ll have a fiddle with the forks and perhaps add a fancy shock if I’m going to do a trackday or two. That’ll also require some sticky tyres and perhaps some rearsets and now I’m getting carried away a bit. The main modification I’m hoping to do this year is to add lots of digits to the MT-09’s odometer while getting through as many pairs of tyres as possible. I can’t wait.